Premier League leaders Chelsea host a resurgent Crystal Palace on Saturday afternoon as they seek to continue their seemingly unstoppable march to the Premier League title. We take you through our match preview and betting tips for the match at Stamford Bridge, an all-London derby. Crystal Palace famously won their last visit to Stamford Bridge – a 2-1 victory in August 2015 when Bakary Sakho and Joel Ward’s goals saw them pull off a famous victory, but that was their first ever at the home of the Blues. In fact, Palace have beaten Chelsea only four times in their history and only twice in their last 19 attempts, which has included 13 defeats. 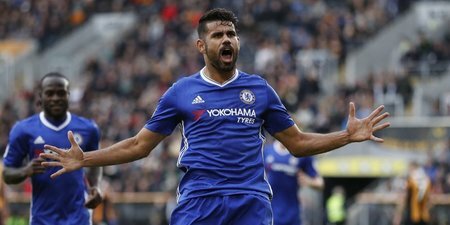 A Diego Costa goal was enough to win the tie at Selhurt Park earlier in the season, while the return fixture in the same clash last year finished 3-0 to Chelsea, then under the guidance of Guus Hiddink. Chelsea are yet to lose outside of London this season – with their defeats coming at London rivals Arsenal, Tottenham and West Ham alongside a home defeat at the hands of Liverpool. Outside of the two Manchester clubs, Crystal Palace are the only side to have picked up more points on the road than they have at home this season. Palace are in good form too, with three wins and three clean sheets on the bounce. Antonio Conte has a fully fit Chelsea squad to chose from. Mathieu Flamini (muscle injury) is expected to return for the visitors as is Patrick van Aanholt (ankle) although James McArthur (knock) is likely to miss out. Loic Remy will not play against his parent club. Palace still have long-term absentees Steve Mandada, Papa Souare, Jonathan Benteke and Conor Wickham all unavailable. Chelsea are on a roll and are churning out result after result, and despite a recent mini-revival of Crystal Palace under Sam Allardyce, it’s impossible to look beyond a home win on Saturday. Palace’s record against Chelsea is really poor, particularly away from home, but you would fancy the Blues at home against any English side at the moment, no less against one just one place above the drop zone. Diego Costa netted the winner against Palace earlier in the season and he was also on target against the Eagles in the Selhurst Park clash last season, so he’s predictably odds on to make it three in a row. The Spanish striker has netted in three of Conte’s side’s last five outings and he also found the net for Spain in their recent World Cup qualifier against Israel, and is a good bet to take advantage of Palace’s defence who despite recent stability have shipped 46 league goals this campaign.